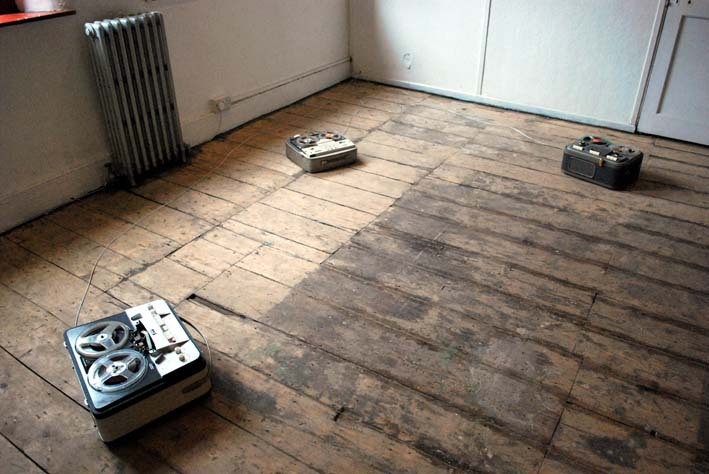 Three reel-to-reel tape players play a three-channel audio piece through their speakers. The sounds come from edited-down found recordings from approximately 1958 to 1975, and feature children and adults singing and speaking nursery rhymes alongside various clicks, crackles, rumbles and hums. 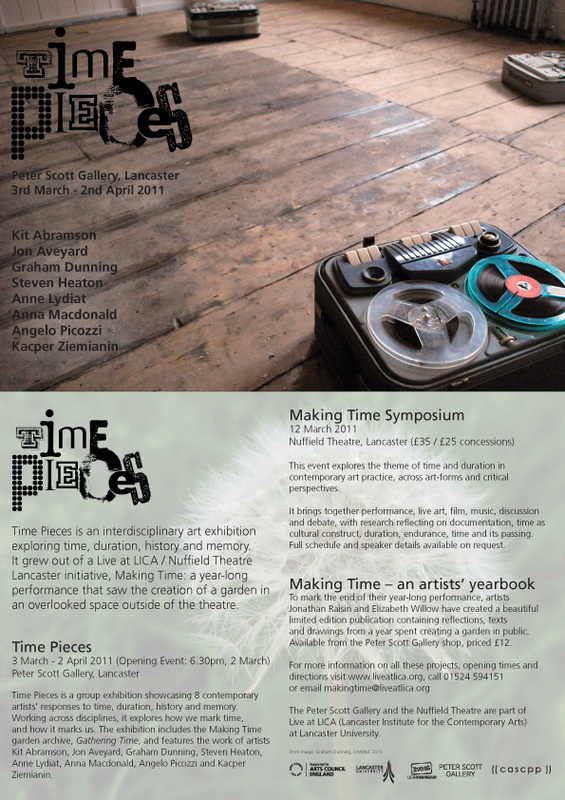 Time Pieces, Lancaster Institute for Contemporary Art, February 2011. A stereo mix-down of the recordings was released through Modisti netlabel in 2011.